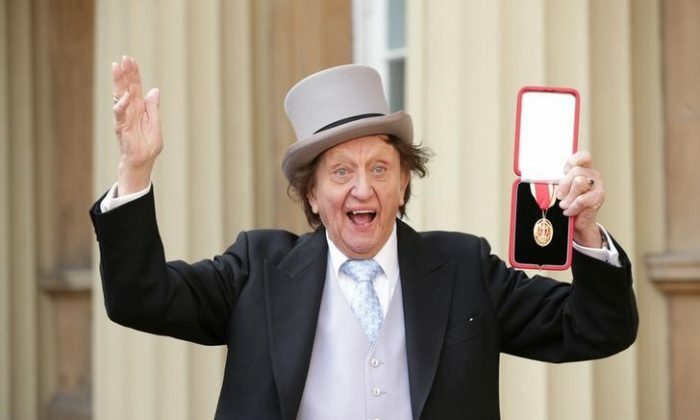 LONDON—British comedian Ken Dodd, well-known to the country’s television audiences for his spiky hair, buck teeth and “tickling stick”, has died aged 90, his publicist said on Monday, March 12. Dodd achieved fame in theaters in the 1950s with a madcap humor and a relentless barrage of off-the-cuff ripostes. His style, which later brought him television and radio fame, owed much to music hall tradition. “To my mind, he was one of the last music hall greats,” his publicist Robert Holmes said in a statement to media. He added Dodd had married his partner of 40 years on Friday and died on Sunday. The Liverpool-born comedian was a tireless live performer who drew up a “giggle map” of Britain, telling him what made people laugh in different parts of the country. Dodd was also holder of a Guinness World Record for telling 1,500 jokes in three and a half hours. Towards the end of a career which earned him a knighthood, he chose not to retire and had been due to perform in the northern English town of Bolton this month before he was taken ill. He also had a singing career, with more than a dozen hits in Britain including “Tears” which topped the UK charts in 1965, selling over a million copies.